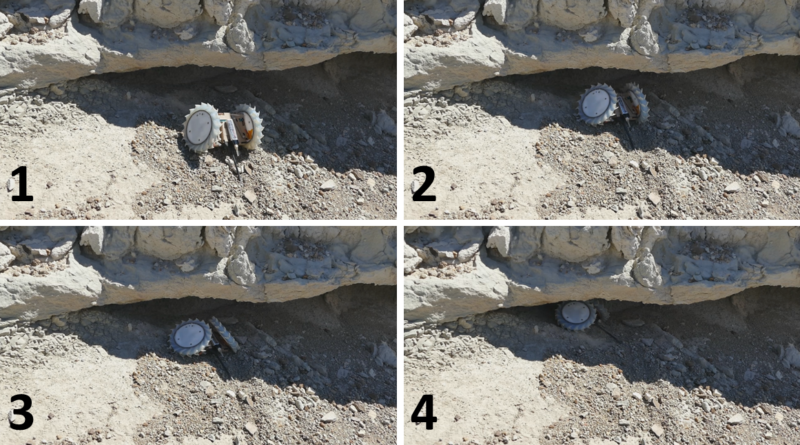 NASA announced that it has developed a tiny robot called “Pop-Up Flat Folding Explorer Robot (PUFFER)” that could one day explore places in Mars where rovers cannot go. Modeled after origami, a Japanese art of folding paper into decorative figures and shapes, PUFFER can crawl in small places, climb 45-degree slopes, and even drop into craters or pits. NASA’s Jet Propulsion Laboratory, the developer of PUFFER, hopes that one day this tiny robot could explore Mars, together with a rover. A bunch of PUFFERs can do “parallel science with a rover, so you can increase the amount you’re doing in a day,” said Jaakko Karras, PUFFER’s project manager at NASA’s Jet Propulsion Laboratory. “Small robotic explorers like PUFFER could change the way we do science on Mars. Like Sojourner before it, we think it’s an exciting advance in robotic design,” Karras added. Aside from PUFFER’s possible exploration in Mars, scientists at NASA said that this tiny robot could also be used in exploring inaccessible places here on earth. Carolyn Parcheta, scientist at NASA’s Jet Propulsion Laboratory, said that PUFFER has enormous potential for other scientific fields such as geology. “Having something that’s as portable as a compass or a rock hammer means you can do science on the fly,” Parcheta said. Scientists at NASA added that they are in the process of increasing the capabilities of PUFFER. They said they plan to make PUFFER as a “scientist” – enabling it to sample water for organic material or to study the chemical makeup of its environment. They also plan to add autonomy to PUFFER that would allow them to build a bunch of PUFFERs that could conduct scientific studies as a mobile team.